I spend a weekend away from the computer and come back to find the internet on fire! Isn’t that always the case, though? A fortnight ago, it was a pseudo-Tamil song shot in a studio. Last week a slap-happy guy was keeping the buzz alive. And this week, Kapil Sibal is the name on every status update. 1. Kapil Sibal, Telecom Minister meets legal representatives from top internet service providers and Facebook. At this meeting, he shows them a Facebook Page about Congress Party President, Sonia Gandhi & calls the content unacceptable. 2. A few weeks later, Sibal asks the websites to evolve a mechanism to pre-screen inflammatory and defamatory content that could cause social tension. In this conversation, he references content that morphs images of popular leaders and concludes that these could hurt religious sentiments. 5. Kafila.org urges people to write ‘Kapil Sibal is an idiot’ on their status updates and use #idiotKapilSibal as a hashtag on Twitter. #idiotKapilSibal trends on Twitter. I would have liked to look at the actual content that prompted Mr.Sibal’s action, for myself. But I wasn’t able to find that much actual information on the incident. The content is either not there or has gotten drowned out in the outcry that followed Mr.Sibal’s proposal. Mr.Sibal has dropped a taboo word into the already volatile online medium and the social media has responded with unsurprising uproar. Censorship is not a word that has been very popular in the last decade. It appears to oppose every thing that the Internet and even more specifically, the social media represent. Even if it is couched in such euphemisms as ‘screening’ or ‘moderation‘, the c-word doesn’t get past our overinformed, newly empowered-to-speak netizens. I am no fan of being regulated, especially in the social media space. But I don’t think it is quite as simple as that. ‘Free to speak except if it hurts somebody else’ is a misnomer. Who judges what is hurtful and what is not? One man’s humour is another man’s slander. Screening can’t be absolute, else it becomes restriction. If a regular citizen is not permitted to voice dissent against a politician, democracy may as well be a farce. Even if the voice is cruder and less rational than one would like, it still represents an opposed viewpoint that is being forcibly silenced or punished. If that is the law of the land, so be it. In which case, the law as it applies to every citizen of this country, should also apply to every public figure that pushes their own political agenda, couched in defamatory statements. The second largest religious community in this country is frequently told to go to hell or simply back to our nearest neighbor, whom we’re not that close to. Doesn’t that qualify as censor-worthy too? Censorship may not be the way to go but regulating it might be a thought. Freedom of speech can’t be absolute. In fact, there are no absolutes when it comes to real people and so many of them. In my insignificant little world, spanning a paltry hundred-odd at best, I chose to let the content stay, the original inflammatory comment as well as the slanderous responses to it. But I stepped in with a final word asking people to refrain from such comments in the future. I also closed off any further comments. Was I doing a Kapil Sibal? No, I wasn’t even pre-screening. I was pulling the plug on a potential e-bomb. (Umm, not the grenade variety, that would have the opposite effect). Come back to Kapil Sibal. By playing the religious card, he has managed to make a valid case for his argument. Keeping an eye out for potential explosive content is a good idea. If this is not feasible, considering the outpouring of expression that happens on social media, a way needs to be found to make it so. I do believe that it is fair to ask the providers of these information repositories to take on this responsibility. Information is power and no one enjoys this better than the providers & promoters of online information. Also, it is not enough to ask users to police themselves. As the ultimate beneficiaries of those conversations, the ultimate responsibility also lies with the providers. I say you’re the one picking up the bucks, the buck should stop with you. The work of a service provider doesn’t end at creating the service but also policing it to ensure that it runs smoothly. The people who create an expressway, collect tolls for usage, in order to fund their effort. They are also responsible for ensuring that road traffic rules are followed and that the expressway is safe and comfortable for everyone on it. A traveler would hardly be justified in protesting that such rules were curbing his freedom to travel. “We prepared a drafted framework, which were discussed with the representatives of these platforms, to which they have agreed at that time. But, now on December 5, they told us they can’t agree with what government wants.” Sibal said that the government wants the social media companies to frame a set of guidelines for uploading content.”We want uploading data from these companies. We don’t want to close these companies but want guidelines for uploading such content. We will definitely want information even if its posted outside India,” said Sibal. That takes this discussion into the realm of a power struggle between the government and the Internet businesses. It’s got little to do with what is ethical and more to do with who gets to control detailed data about a large group of people. There have been attempts to censor the internet, in the past, starting right from public figures decrying it for making morphed pictures accessible in the 90s, to Blogspot being closed off for nearly 2 days following an Orkut hate-community targeted at a political party. None of those attempts lasted very long. Censorship does exist in movies and on television. The movie ‘The Ugly Truth’ ran for about an hour, after all the cuts, in its television premier in India. But the internet is not driven and distributed by local providers, who can be easily bullied by the government into enforced sanitization of content. Entire websites will have to be blocked and as they are key information repositories, this will severely handicap India’s access to information. Shutting out so much of the world is putting ourselves behind bars, not the other way round. Politics is inextricably intertwined with economics and India Inc. stands to lose badly if it is shuttered out of the world’s most comprehensive information & communications universe. Public response has been ranty rather than rational ranging from off-colour jokes to public attacks on Kapil Sibal. In an ideal world, the impetus for Sibal’s thought would have come from a nobler ideal, than trying to curb negative response to his allies. 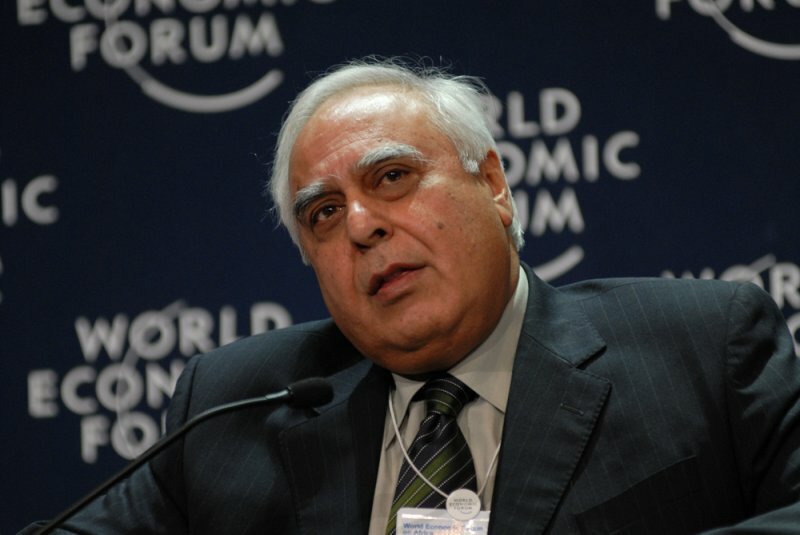 But Sibal took offence at something he saw and stated the need for a regulation. I don’t agree with the source of his discontent but I see reason in his final proposal. Sibal has as much right to his sentiments as you and I do. Calling him an idiot for it, is neither fruitful nor really backing the cause of free speech. Thus, neither absolute censorship, nor absolute free speech, are feasible options. Monitoring who is talking and what they’re saying is vital. I don’t see this as an invasion of privacy but simply policing a free space so that it may continue to be free and safe for everybody. We don’t object to that in the real world. Why decry it online?